Jaime III 9, 7012 Palma de Mallorca, Spanje. 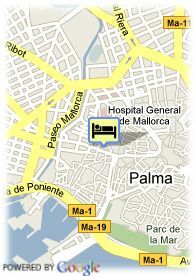 Hotel Almudaina is located at the Shopping and historical area of Palma de Mallorca and close to the Maritime Promenade. 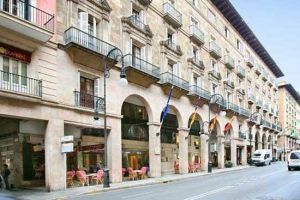 It is more than 30 years old, fully refurbished and personaly serviced to give you a comfortable stay. The hotel has a comfortables lounge and climaticed rooms with sea views. Modern and comfortable, this hotel has 40 rooms and is sited in a quiet area, only 200m from the seafront.